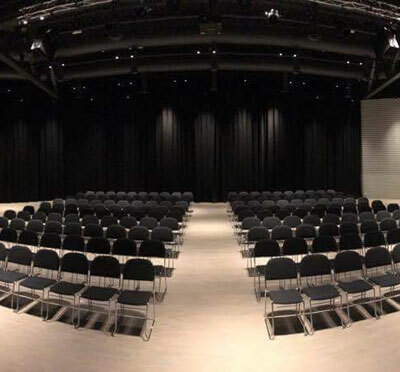 X Meeting Point Norway is a modern venue with endless possibilities for all kind of meetings, conferences, parties, fine dining events, exhibitions and much more. The meeting area indoor is of 14 000 sqm. In total there are 32 modernly designed meeting rooms which also have the latest technical equipment. 35 acres of outdoor space gives you and your group a diversity of experiences outside the complex. If you are looking for a venue for meetings with endless possibilities, then X Meeting point is the right place. 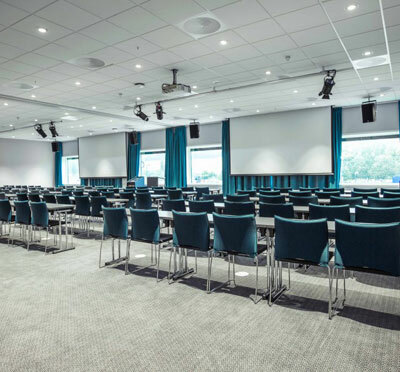 Its location between Oslo City and Oslo Gardermoen International Airport makes it attractive and reachable wherever you are in Oslo. Moxy Oslo X is a playful hotel with affordable prices and surprising design. It is Marriott hotel’s first hotel in Norway and has 276 rooms with top-notch technology throughout the whole hotel. Visit the bar and enjoy a local drink or a cup of coffee and a bagel. The brand new restaurant GåRD Nordic Kitchen, accommodates up to 350 guests. Food is available any time of the day.